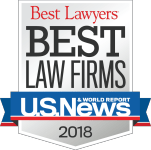 Kenneth Andres, Jr. is a founding and managing partner of The Law Offices of Andres & Berger, P.C., one of the most highly regarded medical malpractice and personal injury law firms in New Jersey. Mr. Andres is dedicated to helping injured people and families who have lost a loved one. 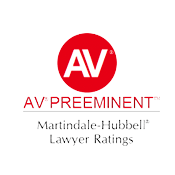 Mr. Andres offers compassionate care and top-notch representation, with uncommon sensitivity, in order to help clients of The Law Offices of Andres & Berger to cope with the emotional, physical and financial harm they have suffered. He is admitted to practice law in the State and Federal Courts of New Jersey and the United States Supreme Court. For over 30 years, he has dedicated his professional life to protecting the rights of individuals that have been injured in motor vehicle accidents‚ medical malpractice‚ wrongful death‚ and other serious injury claims. The Law Offices of Andres & Berger, P.C. are highly selective and limit the number of cases accepted so that they are able to provide a high level of service to their clients. When you contact Mr. Andres, he will immediately begin a detailed investigation of your case; guide you through all interactions with law enforcement, health care professionals, and insurance adjusters. He is familiar with insurance companies’ shrewd practices and pressure tactics and can negotiate from a position of strength with liable parties and insurance companies; and present an honest, persuasive argument to make sure his clients are fairly compensated in settlements or at trial. Mr. Andres has the resources and work ethic to do what is necessary to present understandable and compelling arguments. He fights for clients to obtain full compensation for injuries and losses arising out of an accident or malpractice. With a reputation for hard work and genuine concern for his clients’ well-being, Mr. Andres seeks to accommodate his clients’ needs in any way possible. Mr. Andres is willing to go to court and fight for you so you can focus on the challenge of recovering from injuries and putting your life back together. He is well respected among his peers, having served as President and other elected positions of the New Jersey Association for Justice (NJAJ) (previously the Association of Trial Lawyers of America-New Jersey ATLA-NJ). 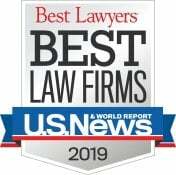 Lawyers throughout New Jersey refer their major cases, as well as their family and friends to Mr. Andres because of his proven record of success. Mr. Andres is a published author and frequent presenter on issues of personal injury law and trial practice. He is an Adjunct Professor at Drexel University – Thomas R. Kline School of Law, where he teaches courses in Trial Advocacy. 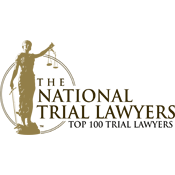 Mr. Andres is a Certified Civil Trial Attorney (only 2% of New Jersey lawyers are awarded this distinction) and has won tens of millions of dollars in compensation for his clients. Mr. Andres has earned a number of accolades that reflect his commitment to his clients. Mr. Andres has been recognized for his success, ethics and professionalism with numerous awards and recognitions. In 2011, he was selected as a Fellow of the American College of Trial Lawyers. Fellowship is extended only by invitation, after careful investigation, to those experienced trial lawyers who have mastered the art of advocacy and whose professional careers have been marked by the highest standards of ethical conduct, professionalism, civility and collegiality. 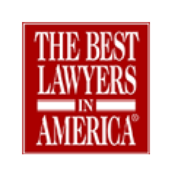 He was named a Top 100 New Jersey SuperLawyer by New Jersey Monthly, Best Lawyer in America by White and Woodward, Inc., and Awesome Attorney by South Jersey Magazine. Mr. Andres is an active and contributing member of the American Board of Trial Advocates (ABOTA), New Jersey Association for Justice, American Association for Justice, American College of Barristers, American Bar Association and the New Jersey State Bar Association. Mr. Andres graduated from Swarthmore College in Pennsylvania where he played soccer, baseball and basketball. His athletic endeavors helped prepare him for the competitive environment of the courtroom. Mr. Andres earned his Juris Doctorate from Capital University Law School. NCAA Soccer Secretary Rules Editor – Mr. Andres is responsible for college soccer rules. He handles all game protests to determine whether a referee applied a rule incorrectly or misidentified a player for a foul. He is a member of the committee that votes and approves any rule changes or modifications and communicates information to coaches. The Best Lawyers in America, White & Woodward, Inc. 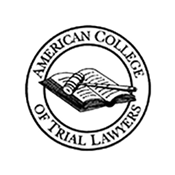 Fellow of the American College of Trial Lawyers (selected 2011) Fellowship is extended only by invitation, after careful investigation, to those experienced trial lawyers who have mastered the art of advocacy and whose professional careers have been marked by the highest standards of ethical conduct, professionalism, civility and collegiality. 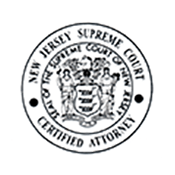 NEW JERSEY INJURY AND MALPRACTICE LAW – A Reference for Accident and Malpractice Victims, published by Speaker Media Press (2010).